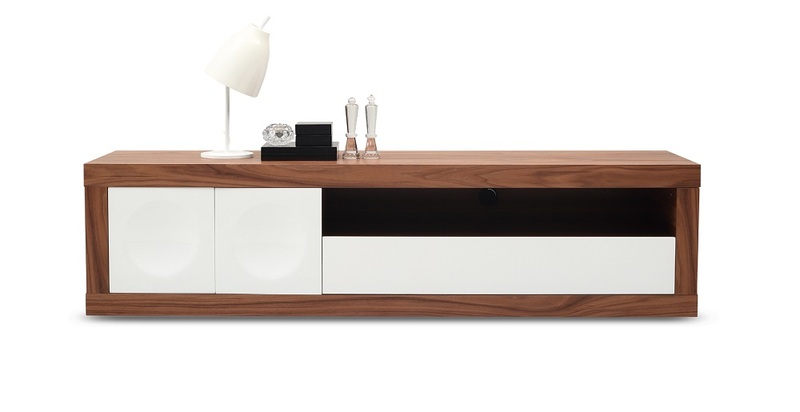 The Prato Modern TV Base features the attractive play of walnut wood veneer & white high gloss. This TV Base has a shelf with precut holes for easy cable management of media units. This TV base also features a deep soft closing drawer for storage and two doors.